Out of all the superb artists in the Epiphone family, perhaps no guitarist is held in higher esteem by his peers than Jeff Waters for his stunning combination of speed, finesse, and dead-on accuracy. And from Stockholm to San Francisco, Jeff's guitar clinics are standing room only events where both pros and pros-at-heart often leave entertained by Jeff's wit and enthusiasm and stunned by the power of his performance. Now, the trailblazing leader of Annihilator returns with the all-new Epiphone "Annihilation-II™" Flying-V Outfit designed by Jeff with Epiphone's luthiers at the "House of Stathopoulo" headquarters in Nashville. 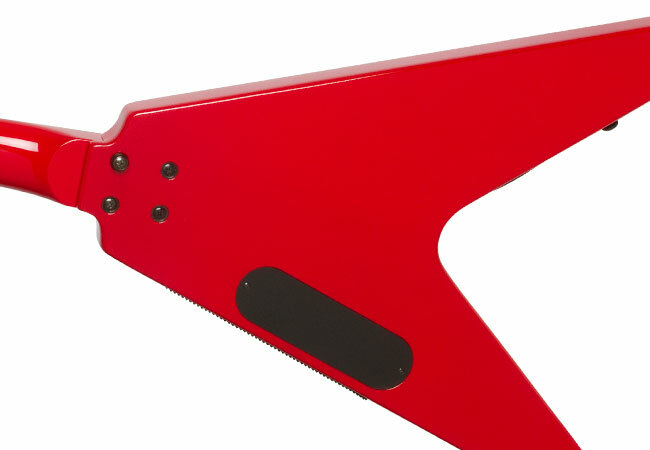 The Jeff Waters Annihilation-II™ Flying V Outfit is an updated version of the first Jeff Waters signature Flying V that set new standards for speed and sound and has been Jeff's go-to guitar for hundreds of concerts and clinics around the world. 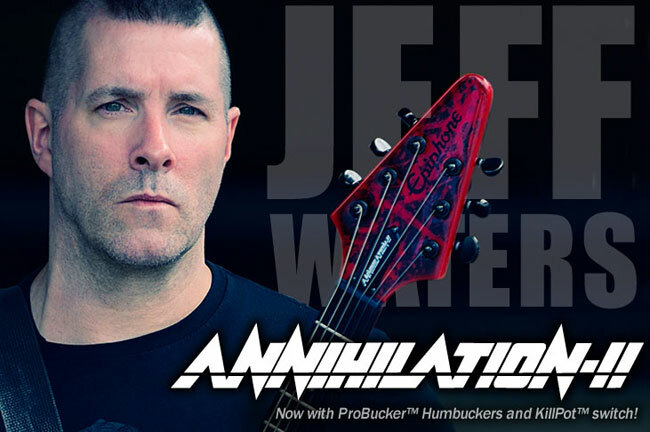 The all new Jeff Waters "Annihilation-II™" II follows the historic profile of the "Flying V," the futuristic solidbody classic first made in the late 50s at the Gibson/Epiphone factory in Kalamazoo, Michigan where the Epiphone Casino and the Les Paul Standard were invented. 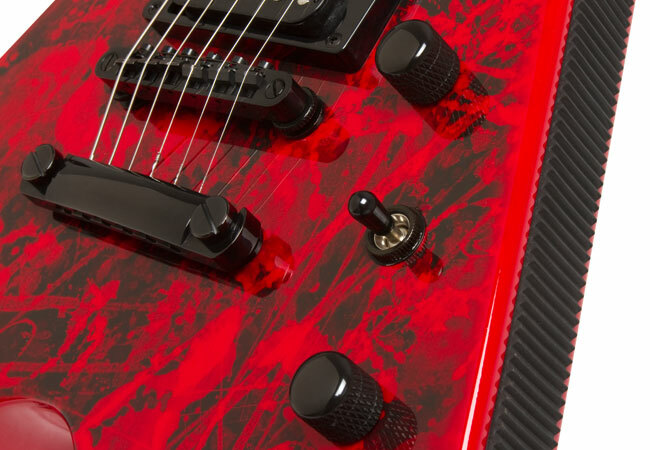 The Jeff Waters Annihilation II™ has a solid Mahogany body with a cool "non-slip shred grip" on the lower bout of the guitar to keep the Flying V from slipping during long hours of practice. The Mahogany neck is shaped with the now classic 1960's SlimTaper™ D profile found on many Epiphones that feels comfortable in all fretting positions whether you're playing chords or blazing solos like Jeff. At Jeff's request, the neck joint is deep-set and bolted into the body. 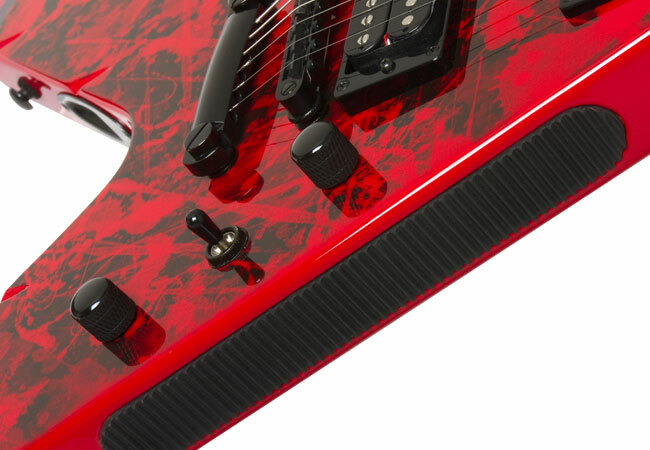 The 24-fret neck has a 24.75" scale and features an ultra smooth Phenolic fingerboard with two full octaves of shredding range and a custom red "Annihilator Devil" inlay on the 12th fret. The nut is 1-11/16" and is made from graphite to avoid string hang-ups. Tuning is precise, intuitive, and accurate with Jeff's favorite, Grover™ Rotomatic machine heads with a super pro 18:1 tuning ratio. 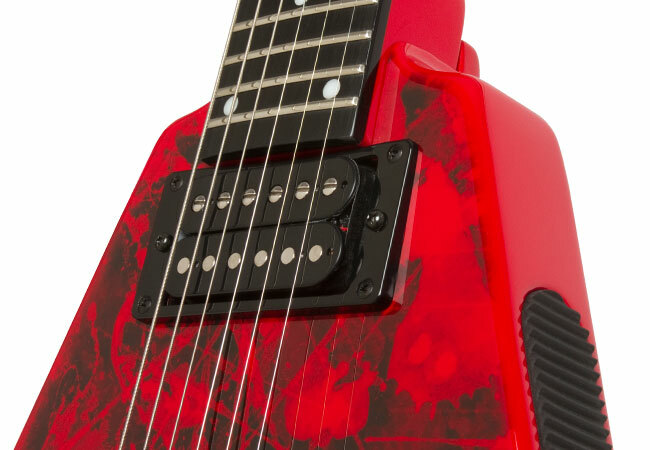 The Annihilation-II's power comes from Epiphone's critically acclaimed ProBucker™ humbucker pickups. 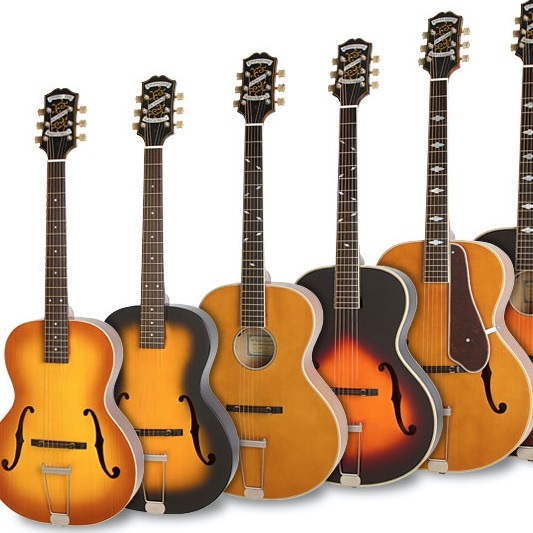 Epiphone ProBuckers™ are made from the same materials as the first generation of "Patent Applied For" humbuckers found in priceless Les Pauls from the late 50s and their tone, sensitivity, and range have fooled some of the best experts in the business. 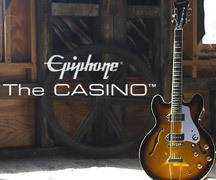 Epiphone ProBuckers™ feature 18% Nickel Silver unit bases and covers, the same alloy used by Gibson. The use of Nickel Silver reduces the occurrence of eddy currents due to low conductivity and provides a more transparent and crisp output. The size and shape of bobbins also has a great impact on tonal response. The bobbins used on the ProBucker pickups duplicate the size and shape of Gibson humbuckers, the gold standard in the industry. Epiphone ProBucker pickups also feature Sand cast Alnico II magnets, high quality 4 conductor lead wire and are vacuum wax potted to eliminate microphonics. The Annihilation-II™ has an Epiphone ProBucker 2™ in the neck position and a slightly hotter ProBucker 3™ in the lead position. 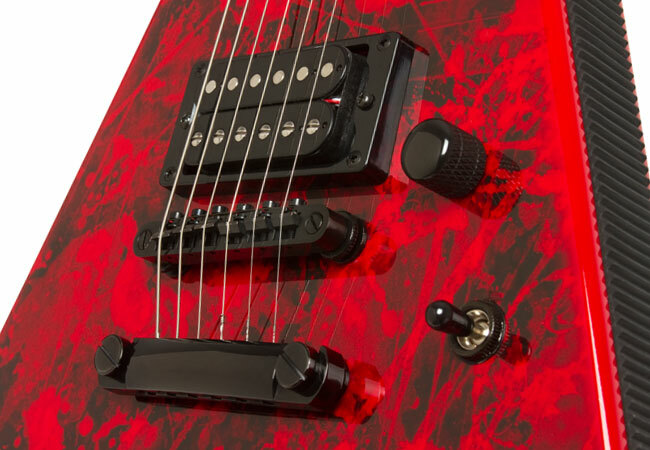 Controls are black with a standard 3-way pickup selector and a Master Volume and Master Tone control. Jeff also requested a KillPot™ for classic stuttering effects, which is activated by the Master Tone control. Jeff Waters counts on Epiphone's legendary LockTone™ Tune-o-matic bridge and Stopbar tailpiece for stable and super accurate intonation across the entire fretboard. 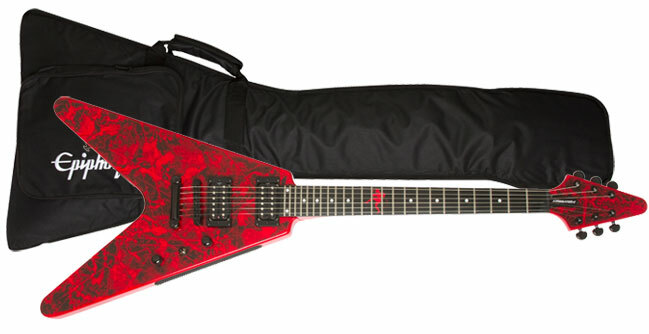 And, every Annihilation-II™ Flying V comes with a premium Epiphone fitted gigbag. An optional hard case is also available. 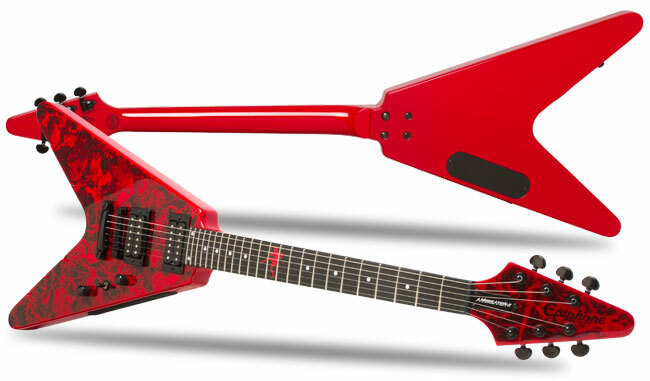 Like all Epiphones, the new Jeff Waters "Annihilation-II™" Flying-V Outfit comes with Epiphone's Limited Lifetime Guarantee and world famous 24/7/365 Gibson Customer Service. Let the Annihilation begin! 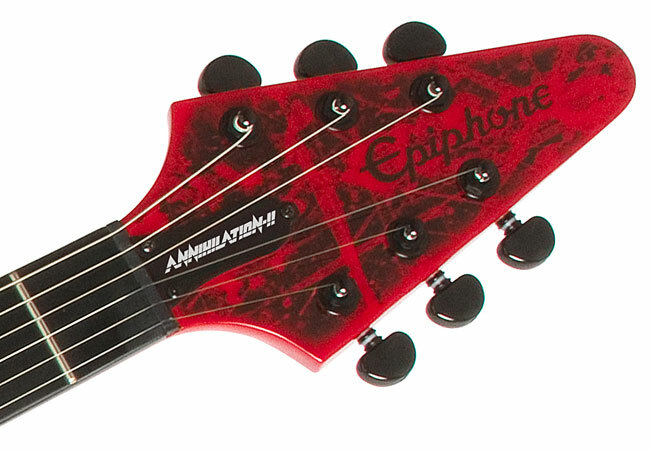 Pick up a new Jeff Waters "Annihilation-II™" Flying-V Outfit at your nearest Authorized Epiphone Dealer.